Browse our calendar of upcoming webinars. You can read descriptions of popular webinars here. We have about a dozen PowerPoint presentations on various topics that you can download and read at your own pace. 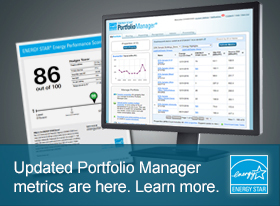 Watch video shorts to learn how to use Portfolio Manager. Choose from eight videos that step you through creating a property to creating reports. Click here to view and register for live or recorded ENERGY STAR training.